Finally I've got myself on some more McQueen! 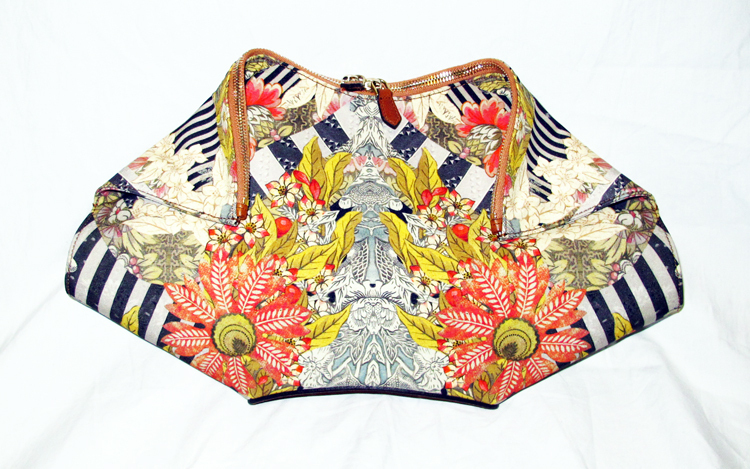 Take a look at my new Alexander McQueen De-Manta Clutch in a Folklore Print. It's tres amazing! Oversized, folded flaps, embossed leather, gold studs and plenty of room for my stuff. I haven't really used it too much. I'm still in that 'it's so nice I don't want to ruin it' stage but I'll be sure to bring it out more, especially with summer and the colourful folklore print.